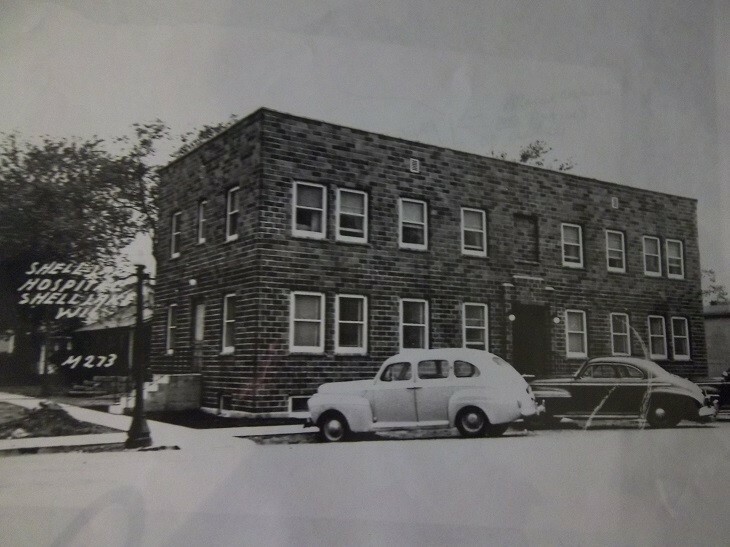 Steve Atkinson was born in Shell Lake's original red brick hospital that stood where the clinic's parking lot is now in 1957. 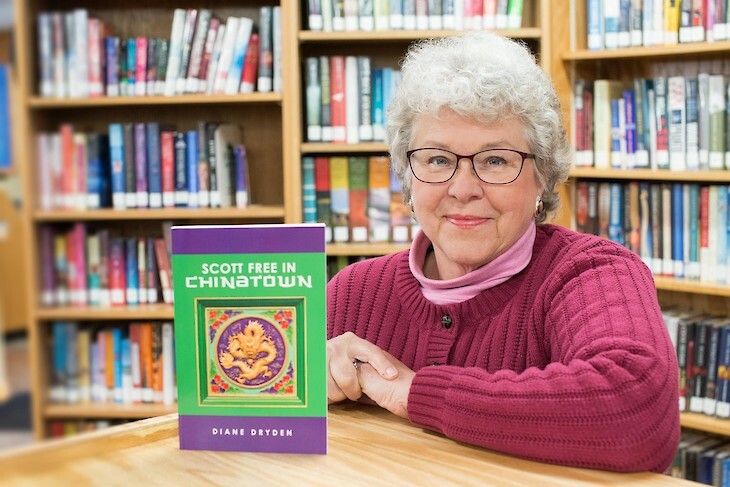 He's been able to trace his family back as far as the 1600s in various home countries, mainly England, and then to the 1890s when his family arrived in Maine. They can trace their father's line back to family members who fought at Valley Forge, some members even fighting for the English during the Revolutionary War. 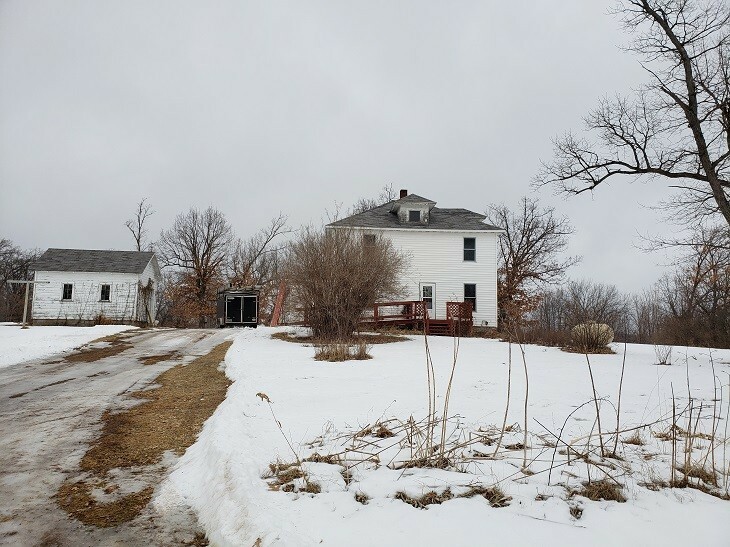 Eventually, the family made its way to Pierce County and then to the town of Dewey where great grandpa Cyrus Foss Atkinson bought 160 acres of land on County Highway H near highway 70. He remembers hearing about the VZ trail that ran near the homestead and on to Spooner. Both Steve's great grandfather and grandfather were involved with local politics, and his great grandpa was responsible for splitting a very large county into two, Rusk and Dewey. Grampa Cyrus built a huge barn for milking cows in 1913, followed by a large white house set far back from the road on a hill in 1914. The barn became famous during the Second World War when many a Red Cross money-raising event was held during the war years. For the rest of the barn's life, the large red crosses could still be seen on the inside walls. Sadly, the tornado that swept directly through the area in 2001 took down the eighty-eight-year-old barn, and with it, many memories, but the sign on H and their very long driveway still reads C. Atkinson Lane. It was twenty years ago that Steve returned to Shell Lake, and this time to another house with loads of history. It's located across from the WITC headquarters on County Road B going east out of Shell Lake. It sits all by itself, without another house in sight. Steve figures the house was built in 1884 and to his knowledge was used as a boarding house. There are four bedrooms upstairs with a kitchen, dining room, and living room downstairs. Indoor plumbing didn't find it's way into the house until 1964, and a section was carved out of the downstairs for the modern conveniences. The garage next to the house is built using three lumberman shanty's, each measuring 20x20 feet. 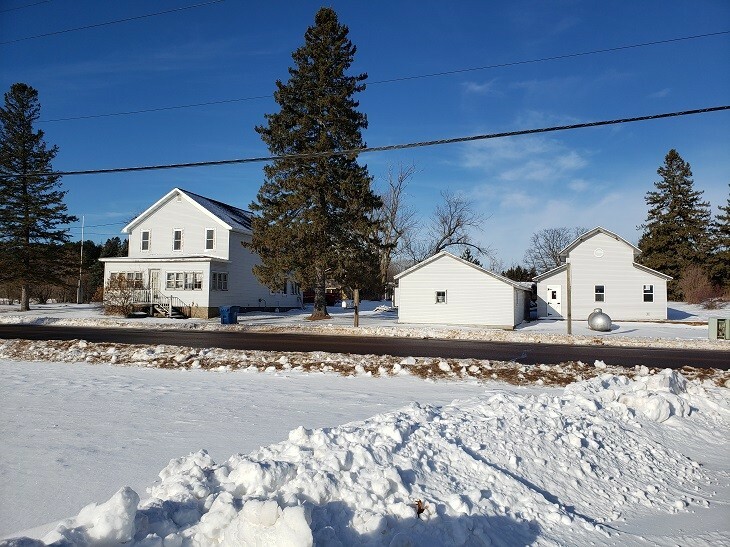 Because the house sits just west of the old Narrow Guage logging track that ran closer to the lake, Steve says it's an adventure digging into the ground anywhere around the house and outbuildings. "Something is always turning up," he says. "Lots of railroad spikes, a metal clamp-on ice skate, all kinds of spent cartridges and broken glass and toys." He even dug up what looks like the cast iron door off of a steam engine, which track would have run on the other side (west) of his house. During the year when the house was built, 1884, logging was the industry that created the town of Shell Lake. Before the logging companies came, the area was overrun with acres and acres of huge white pines and a large lake; everything that was needed for a successful logging enterprise. Eventually, as the trees came down, tents went up, and then shanties for the loggers. Shell Lake itself was not located where it is now, but its original location was a bit north on New Knap Road. 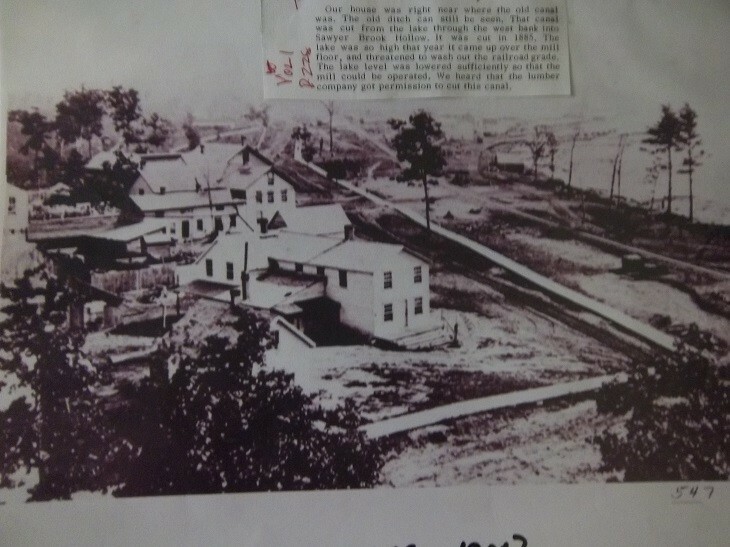 The logging mill itself was located where the Bosch buildings are now and the logging camp locations stretched as far south as the Cabot's Corner neighborhood development is now south of town. During logging days the area was called Cabot's Cove; logging shanties, cookhouse, supply store and all. Logs were cut summer and winter with teams of oxen or horses pulling them out of the woods year round. The work was quicker and more efficient during the winter though when the snow was used to slide the huge trees to the team of horses that took them to the lake where they were dumped to await their time in the mill. Narrow-gauge railroad tracks still can be seen running through various woods in the area. These are the tracks for the small trains that hauled the trees to the mill. 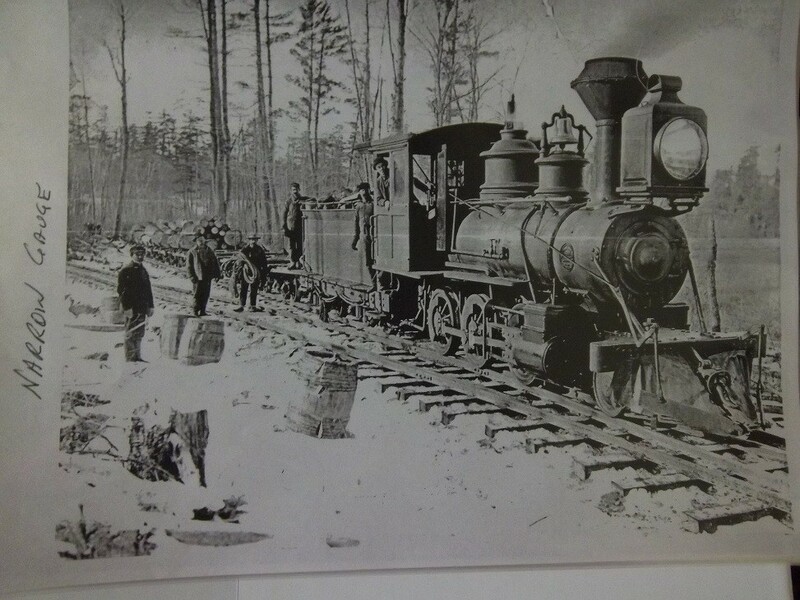 Next to them were the standard size tracks that held the trains that ran next to the town that transported not only the lumber, but people, animal carcasses, and in season fruit and produce for market down the line going south. Ice was also a huge market, and the Shell Lake contributed much of it to many towns along the route. Steve enjoys talking and asking questions, and he's heard, but can't prove that there is, to this day, a team of oxen still hitched to a wagon-load of wood at the bottom of the lake somewhere deep. He was told they went down during a winter years ago when the ice was not thick enough for travel. It was mainly pine that was but and hauled to the lake because it would float. Loggers could launch their marked load into the lake and gaffers would pull it into the mill. Hardwood trees would sink to the bottom of the lake, and there are many of log still being recovered from Shell Lake's watery depths to this day. 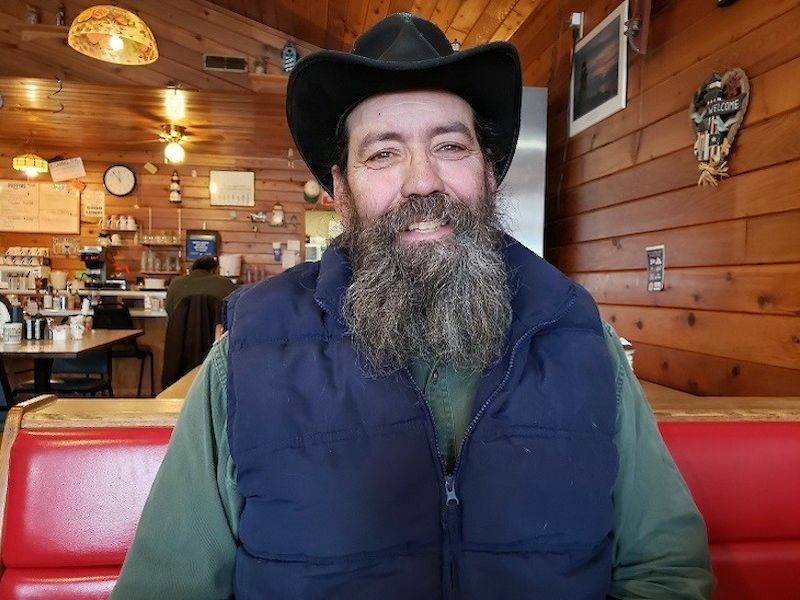 He's also heard that the notorious James' Gang traveled through the Spooner area after holding up a bank in Northfield, Minnesota and stayed where the Fish Hatchery is now. Steve had an exciting enough life without living at the turn of the century. He remembers very well when his father dropped him and his two brothers off at the old hospital in the morning to have their tonsils out and then casually picked them up on his way home from work. Steve's always looking for more information about the area and the logging industry, and even his house, which some people think might have been the first one in a row of houses lived in by the logging company foremen. It's been estimated that an old person who dies takes almost two hundred years of history with them and if they don't take the time to pass down how things once were, all that rich history will be lost forever.